There is a logical progression in writing, moving from sentences to paragraphs to essays. However, this progression isn’t strictly linear. As a child matures in his language arts skill, he cycles back through these three steps, learning more complex structures at each pass. For sentences, I teach a set of five sentence patterns. (Link is a free eBook; see freebies page at jimmiescollage.com for eBook and other printables to go with it.) These include simple, compound, and complex sentences while also teaching how to punctuate five common types of sentences. Practice writing sentences with the different patterns, possibly using your spelling or vocabulary words. After students have a basic proficiency with sentences, they should be learning how to write five sentence (minimum) paragraphs. The structure of a paragraph parallels the structure of an essay, so this is an important step. I taught Sprite how to write paragraphs with very structured formulas. Once she mastered those boring formats, she was confident enough to branch out with more creative approaches. Besides those areas, children need lots of time practicing. So keep them writing! Notebooking and written narrations count as writing. So do journal writing, reading journals, and typical language arts assignments. Just make sure your child has a chance to write something every single day. Writing really is like math and reading in this sense that it requires daily practice. I like to integrate writing assignments with academic areas as much as possible. Our notebooking covers a lot of this kind of cross-curricular writing even though most of the notebooking pages are not a formal essay. Melding writing into other subject areas gives you a two-fold bonus; not only do you kill two birds with one stone, but you also teach them a critical skill for college. Remember having to write a paper in your history class? That can be a real challenge if language arts has been taught in isolation from other areas. Push for writing about poetry, literature, art, science, math, history, music, in short, anything else you are studying. You may find this next statement reassuring or disappointing. Creative writing is not critical, so don’t worry about it at all. 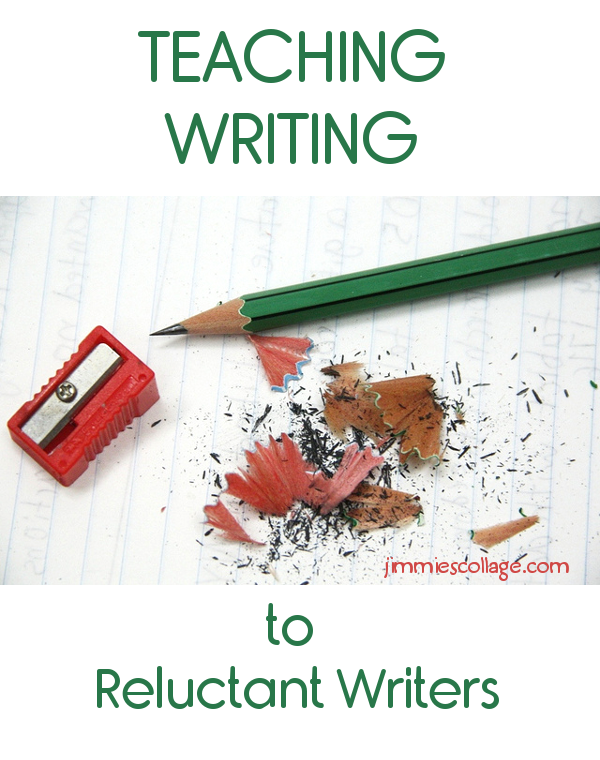 Expository, writing to explain, and persuasive, writing to persuade, are your primary types of academic writing. (Yes, there are comparison and contrast and descriptive essays, too, but those can really fall under the broader category of expository writing.) If you want to spend time on creative writing just because your children like it, that’s fine. But if you find it a chore, simply omit it altogether. I consider it an elective. It is non-essential. Do you feel better now? You do want students to add creative elements to their expository and persuasive essays, of course. But that does not need to be taught in the context of writing fiction stories. For more about teaching writing, visit DIY Writing Curriculum. 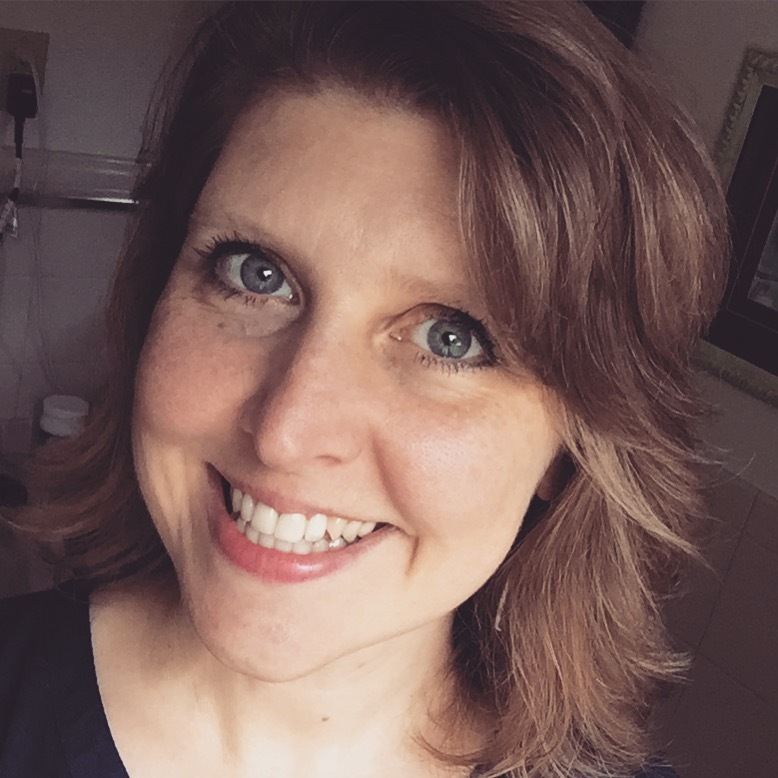 Can you tell me how to work with reluctant writers? My 11 year old son does not like to write and when he does, it’s about one sentence long. When asked to write more, he misses out on all the details. We do a lot of copywork, grammar, sentence labeling, editing, fill-in the blank paragraphs, orally describe a picture in words and then write about it. We also write down keywords together so that he can use them in the sentence. We write a lot of 5-sentence paragraphs together, but when I ask him to work on his own, he is reluctant to work on the task! How can I get him to work independently on his writing? I’m sure many of you can relate to reluctant writers even though the specific details may vary. I’m going to address Ruth’s particular situation first and then make some general remarks about reluctant writers. Ruth, when I read your note, I am struck with the fact that your son can write (and does write) when you are there to prod and guide. That is wonderful! As you said, you want him to move into more independence in his writing. I agree. That is your next stage. You are also using excellent strategies to help your son! You have invested well, and I trust that those activities will eventually carry over into his writing. Don’t give up! In general, I would agree that an 11 year old should be doing more writing on his own. There’s certainly nothing wrong with discussing ideas in the prewriting stage, but he should be able to write drafts independently. You then come back into the picture for the editing and revising stage. 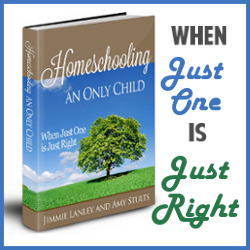 However, the beauty of homeschooling is that we can adjust to our child’s particular levels and needs. Remember that an 11 year old boy is immature. Writing — the thinking involved– is hard work. Is he not ready to move into independence? Or is it a laziness or self-discipline issue? Only you can know that for sure. I would forge ahead with what you are doing, teaching and encouraging. I believe it will click eventually. One thing to consider is meta-cognitive strategies. Meta-cognitive means thinking about thinking. (It is one of my favorite words.) When you give your son a writing task, ask him what he should be thinking or asking himself to get the job done. If he’s not sure, model that with your own thinking processes. That means you think outloud so that he can hear the thought processes you go through to write. You might even write down those questions for him to use as he works independently. Before I share more tips for reluctant writers, let me say that there is no magic bullet for making difficult tasks pleasant. I despise and fear going to the dentist. There is really nothing anyone can do to make me enjoy the experience. Even if I knew you were going to give me $300 at the end of the visit, I would still hate every minute of it as I looked forward to that $300. A kind hygienist and patient dentist can help it be less horrifying, but the terror factor never totally disappears (for me). Writing may be one of those “grin and bear it” kind of subjects for some kids. And that’s okay. But you are good homeschool moms, and you want to make writing less horrifying for your child (and for you). So try these ideas. Let the student choose the topic. It’s hard, maybe impossible, to write well about something that bores you. Although I encourage writing in the content areas — history, math, art, science, reluctant writers need to be enticed with what interests them. What is your child’s passion? Turn that into your writing topic. Are there hobbies or interests that he could write about? Is there something that makes him angry? Can he write a persuasive essay about it? You may have to wade through dozens of essays about video games, legos, or robotics; in my case it’s cats. We’ve had essays about different breeds, comparison and contrast of her own cats, famous cats in history. Yes, it gets a bit dull, but Sprite can still learn how to write with a topic as broad as cats. Typing on the computer makes the entire editing process much easier. Using spell check and grammar check are additional helps for the reluctant writer. Many students who have trouble coming up with what to write have no trouble talking about their topic. The solution is to make an audio recording of the student’s thoughts. After recording, let the child listen and dictate what he said. It will need work, of course, but a lot of the ideas will be there. It is common for students to resist editing their drafts. For one, it’s difficult to analyze weaknesses and improve them. Furthermore, many students have an emotional connection to their work or an insecurity about having their errors pointed out which makes them not want to discuss and make changes. A wonderful solution to this problem is peer editing where children read each others’ essays and give feedback. I started a middle school peer editing group in my area. We have met twice so far, and the children have really benefited from the positive peer pressure. Most moms confirmed that the children took extra time in getting their essays ready for the peer editing session just because they wanted to impress the other students. If peer editing won’t work out, try to find some kind of audience for your child’s work — a blog, a newsletter, a penpal. Knowing that someone besides mom is going to read the essay helps motivate a child to put forth more effort. Choose a good time of day. What time is your child’s at his sharpest? Let writing be done at that time even if it is late at night or some other time not convenient for you. Keep lessons short but daily. When frustration sets in, put the paper aside. Shorter lessons mean that you need to do writing more often, though. 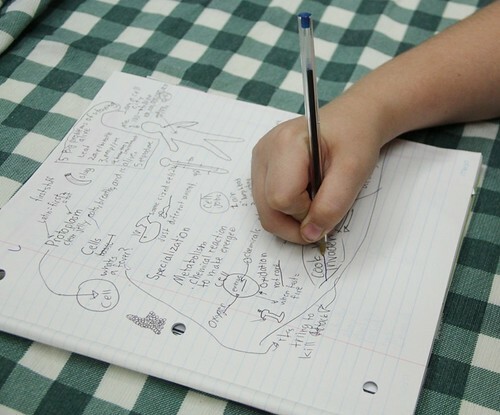 So establishing a daily writing habit may be the best thing for a reluctant writer. Reward your child for bursts of diligence work by calling a close to the writing lesson before there are tears or anger. I’m as guilty as the next parent for dragging out a lesson when things seem to be going well. But just like company should leave before the host wants them to, you should end the writing lesson while the mood is still happy. Thanks for releasing us from creative writing, what a relief :). This has been great series! I’ve been so inspired to add things like poetry and Shakespeare back into our week. Great idea to put it all in an eBook. A bizillion thanks for the last 10 days…they have been inspiring and I think we’ve made a break through in writing today. My son asked me if he could write to the ketchup company because he didn’t like how the ketchup tasted anymore….I was in the middle of cooking dinner…I asked him to repeat it again…I couldn’t believe it…write…really…write! Of course, I said that was a wonderful idea…and tried not to sound so emotional…but I did act a little bit…ok alot!!!! WOW! I love moments like that…just out of the blue. Well I went to The Knowledge Tree today to take a look at WORDLY WISE and I love it, love it. I will take your advise and start using technology. I thought about my son’s idea (taking little steps) but he has so many opinions about games…all sorts…that I thought it might be a good idea to write reviews on AMAZON …after we’ve pre-edit but he has alot to say on the topic of toys and video games. He also loves dogs, math, science and art. I’ll have him write about those topics and for math…I thought about having him write some math word problems for ME to solve…we’ll start with the basics and build up from there…I will also task him with keeping up with my grocery list. 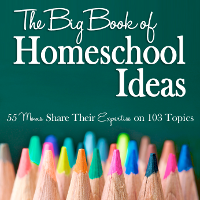 I can’t wait for your e-book so I can add it to my homeschool notebook as a reference! Thanks again…Dios la bendiga…God Bless. I don’t mind you use my tidbits at all. 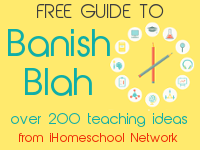 I’m glad I can share and thanks so much for you sharing your homeschool across the world! You’re an inspiration. Jimmie, lots of great ideas – but don’t forget to mention NaNoWriMo! NAtional NOvel WRIting MOnth every November (nanowrimo.org). It’s creative writing, but it really gets them putting the words on paper! My 16yo just finished her word count of 30,000 words – in ONE MONTH! Her book isn’t quite finished but she’s nearly there, and so excited to have reached her word count goal. I’ve found all your language arts information very helpful, but I’m stuck on paragraphs with my daughter right now, and was wondering if you could share something with me. In this post you mention specific paragraph formulas you used when beginning paragraph work with your daughter, and I couldn’t find the formulas anywhere. If they are posted, could you direct me to them, and if not would you share them. It’s the standard format of a topic sentence, three main idea sentences, and a conclusion sentence. The Five Finger Paragraph is structured along these lines. I love this post! Very helpful, especially knowing that creative writing isn’t necessary. What do you reccommend for a 2nd grader, writing wise? Should I be teaching her the 5 sentence patterns yet? For copywork for a 3rd grader what do you recommend? what are your thought about “Hymns in prose copybooks”? Thanks!